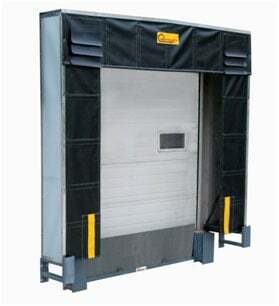 Pentalift is your single-source manufacturer of loading dock equipment. Pentalift’s large range of product offerings satisfies a wide variety of applications. Engineering excellence, manufacturing quality, and built-in safety features make Pentalift the smart choice. Utilize the links below for more specific information. Pentalift manufactures a complete line of both mechanical and hydraulic dock levelers offering the best value in the industry. Mechanical dock levelers are available with capacities ranging from 25,000 lb to 50,000 lb. Hydraulic dock levelers are available with capacities ranging from 25,000 lb to 100,000 lb as standard. Pentalift also offers vertical storing dock levelers, solar powered dock levelers and edge of dock levelers. Pentalift manufactures a complete line of vehicle restraints to suit a wide range of applications and budgetary boundaries. 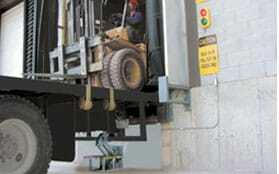 Pentalift vehicle restraints are a key part of designing and implementing an integrated loading dock safety system. Pentalift vehicle restraints can be ordered to suit an interlocked application or as a stand-alone safety product to be used at with existing dock equipment. Vehicle restraints are another example of how Pentalift supports safe work practices at the loading dock area. Pentalift manufactures a complete range of compression and inflatable dock seals and shelters. All Pentalift products are designed to minimize energy transfer between the interior of the building and the outside environment and to improve safety at the loading dock area. The overhead door size generally determines the most suitable model of dock seal or shelter. 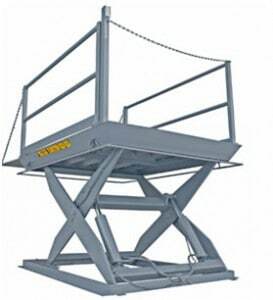 Pentalift dock lifts are available in pit installed or surface installed configurations. 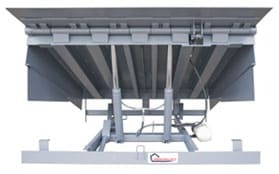 Dock lifts are offered as an excellent means of simplifying shipping and receiving requirements at a location that prohibits the use of a conventional dock leveler. As standard, pit installed dock lifts are available with capacities ranging from 3,000 lb to 20,000 lb. Custom platform sizes, special vertical lift requirements and many application driven accessories are available to ensure safety at the loading dock. Contact Metro Garage Door, Inc. for all your dock equipment solutions in metro Atlanta GA.